HEXUS covered the launch of AMD's FreeSync last month by testing the variable refresh-rate technology on the LG 34UM67. It's fair to say that while the LG monitor was attractive and novel, thanks to its 21:9 aspect ratio, the FreeSync implementation felt underwhelming due to the narrow supported range of 48-75Hz. 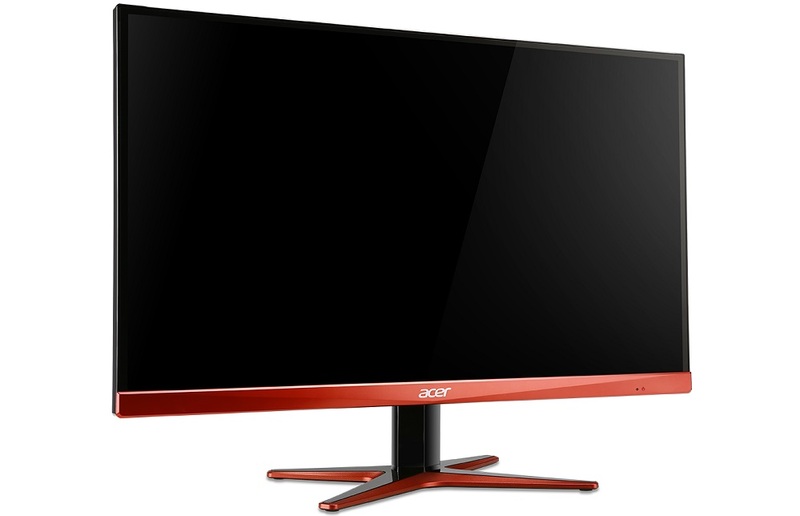 Acer's XG270HU sets out to fix that by offering consumers a 27in, 2,560x1,440 panel, with a 1ms response time and 144Hz refresh rate blended with the promise of FreeSync support between 40-144Hz, which is a significantly wider range than LG's equivalent. At face value the Acer XG270HU seems to be a lower-cost variation of the ASUS ROG Swift PG278Q for AMD graphics card owners. 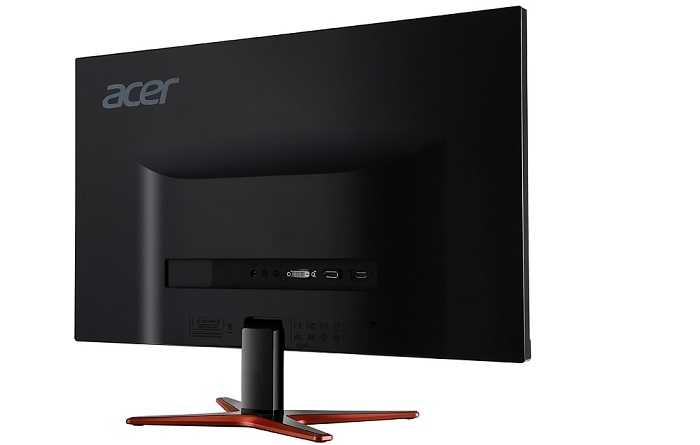 Interesting for PC Gamers on a budget is the fact the Acer XG270HU targets an aggressive price point of £430 here in the UK. This makes it more affordable than the Philips 272G5DYEB 27in G-Sync monitor with a meagre 1080p resolution but, more importantly, the Acer XG270HU is noticeably cheaper than G-Sync monitors of the same specification. 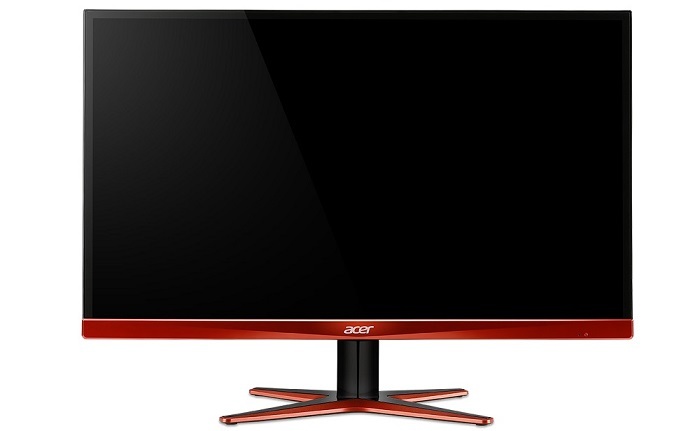 One of the design wins for the Acer XG270HU is the incredibly slim bezel, similar to what LG implemented on the LG 34UM67, combined with a matte anti-glare coating. The plastic part of the bezel is barely a few millimeters in thickness making for a sleek and stealthy aesthetic. There is some wizardry at hand, though, as a thin black border surrounds the viewable part of the panel acting, effectively, as a second bezel. 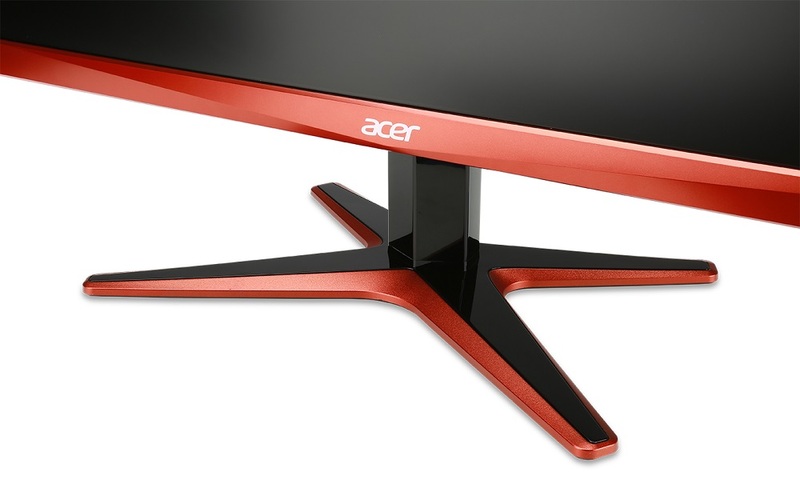 The stand Acer deploys with the XG270HU is certainly less sleek and stealthy. The choice of orange and black for the primary colour scheme is a bold move, to say the least, while the X-shaped stand seems to be a 'love it or hate it' design. Clearly Acer is going after a gaming audience rather than a prosumer or everyday user who may prefer something more subtle and reserved. Moving away from aesthetics, the stand is no better placed in terms of functionality; it only features vertical tilt with no height adjustment or pivot. Gamers looking for height adjustment or the ability to use this monitor in portrait mode will be left disappointed as there isn't even a VESA mount option for a custom monitor arm or stand. The connectivity offered by the Acer XG270HU will be enough for most users as it features DVI, HDMI and DisplayPort with audio in and out jacks. FreeSync is only supported over the DisplayPort interface so in most use cases the DVI and HDMI ports will go unused, particularly as Acer doesn't provide any Picture-in-Picture (PiP) or Picture-by-Picture (PbP) operational modes to help make use of additional ports.